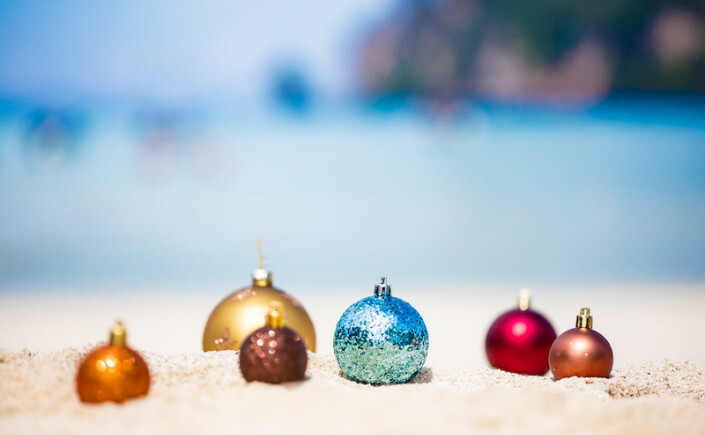 1 | The morning of December 25, head down to Elbow Beach, where tourists and expats gather on the brilliant pink sands to celebrate with food, wine, and music. 2 | On December 26, all across the British Commonwealth, folks celebrate Boxing Day. You won’t find too many shops open, but you’ll definitely want to take a stroll down the islands' main streets, where you’ll see processions of costumed Gombeys dancing and drumming in a folk tradition that reflects Bermuda’s unique mix of British, Caribbean, and African heritage.